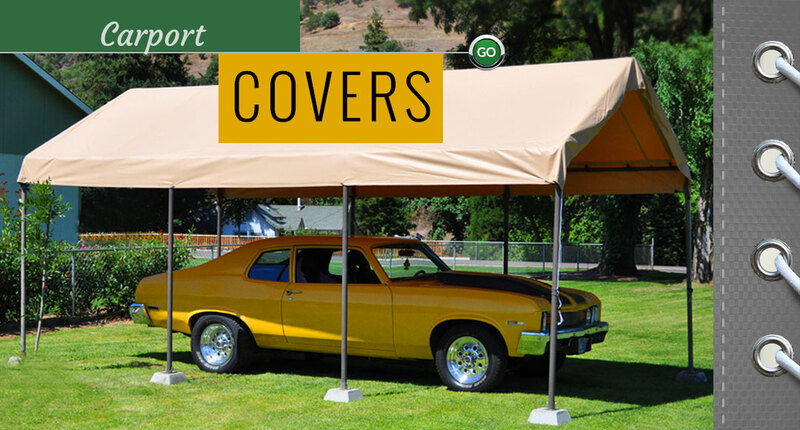 Since 2010 CostLess Tarps has been bringing the Internet community quality replacement carport tarps at low prices and now things have just got better! 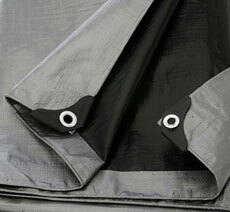 Our new online tarp store features quality Replacement Carport Tarps and so much more! 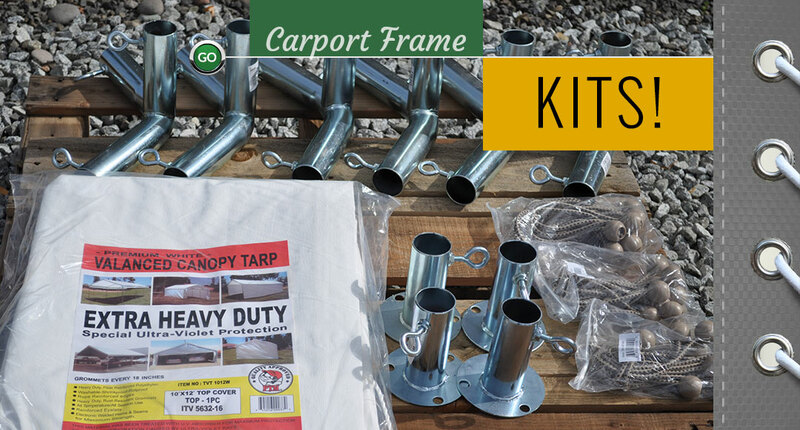 Products such as Greenhouse Tarps, Heavy Duty Poly Tarps, Fire Retardant Tarps, Screen Mesh Tarps, Vinyl Tarps, Premium Camouflage Tarps, Carport Frames, Custom Ordered Tarps to fit your needs and Full Carport Tarps and Kits. 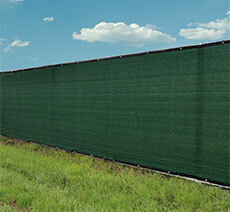 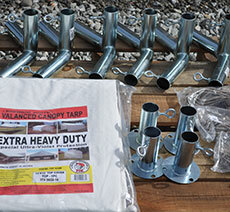 Our store has stocked the tarp products and accessories you need to protect your investments while saving you money. 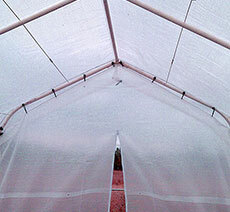 Get the vegetables, flowers and herbs you’ve always wanted with a greenhouse from CostLess Tarps. 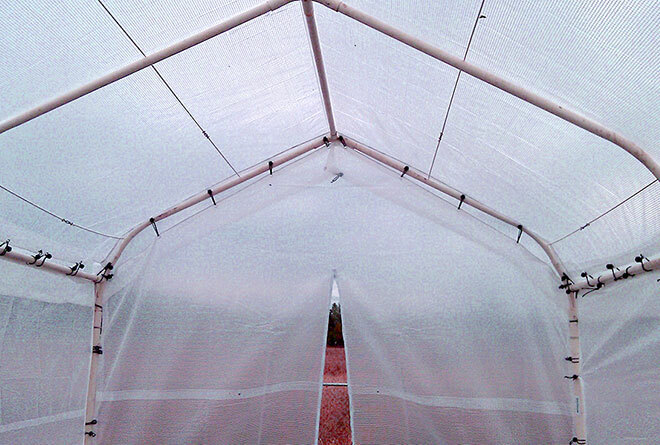 These high-quality greenhouses come in a variety of sizes to fit every need. 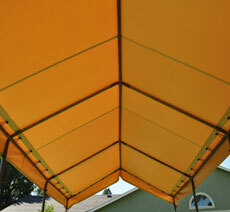 Our retail store is located in Gold Hill, Oregon. 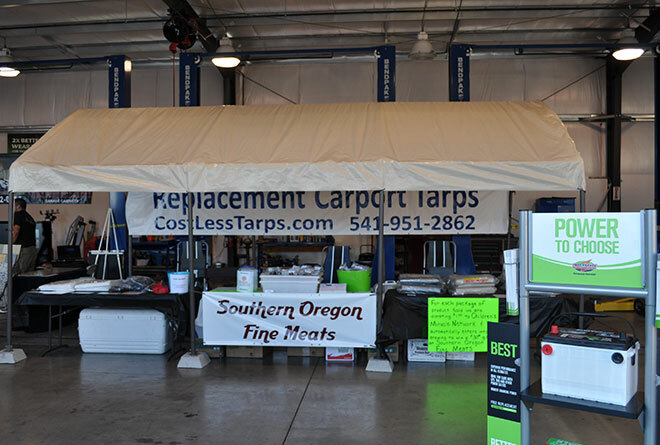 We are situated in the heart of the beautiful Rogue Valley in Southern Oregon. 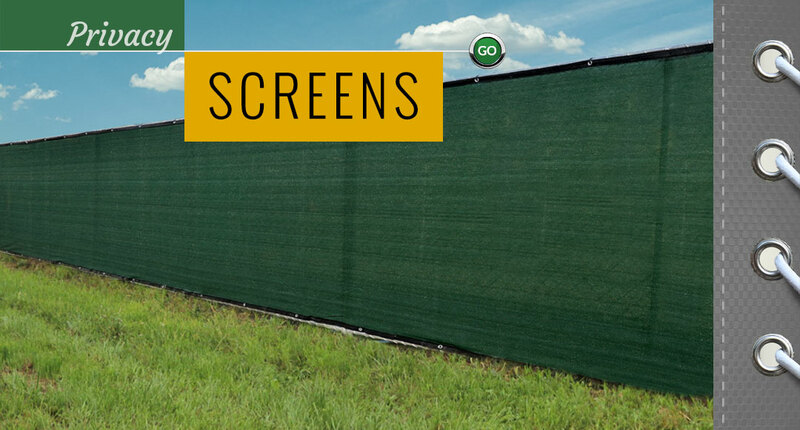 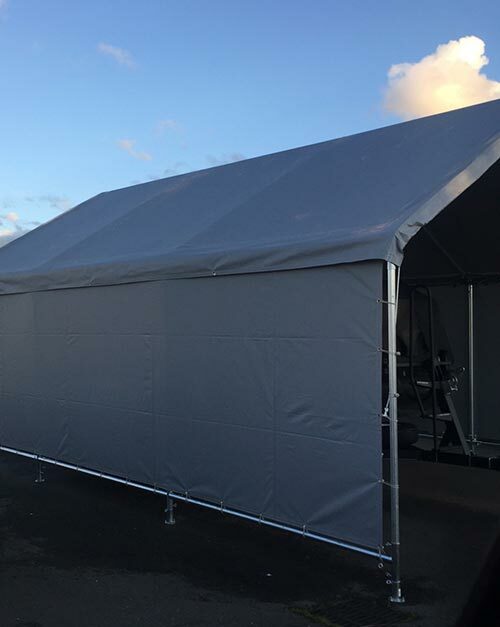 Our family run store carries a wide range of sizes in our 12 mil poly tarps and replacement carport covers, side walls, front and back panels. 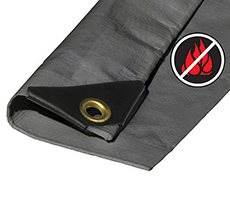 Check back each month to find out which of your favorite products are being offered at a discount. 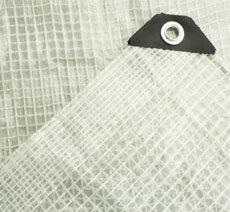 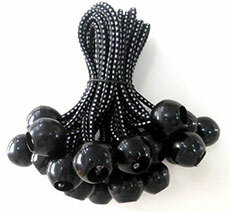 Be sure to sign up for our email list and check your inbox for additional special offers, closeouts and overstock items. 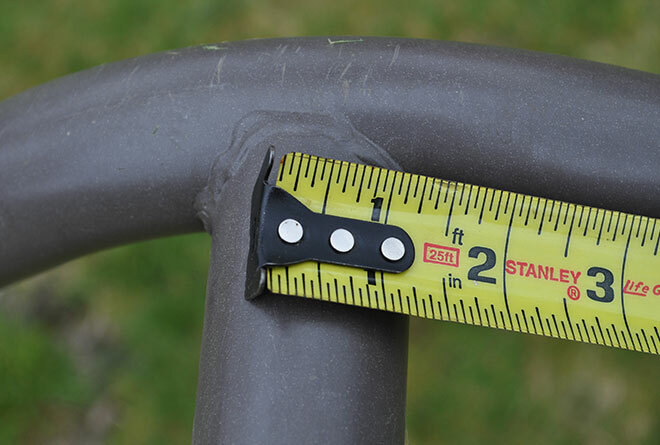 Correct measuring involves holding the tape measure from the horizontal pole and running it along the roof pole to the middle of the very top connector. 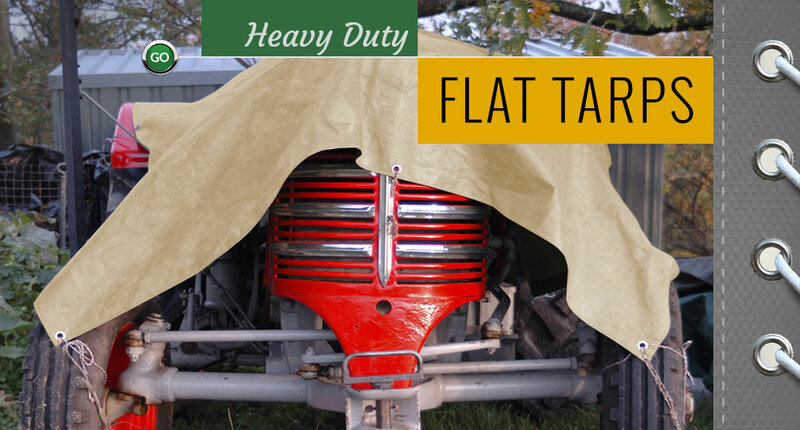 This length is then doubled and that determines your replacement cover size.